Vitamix A2300 Black Ascent Series Blender w/ FREE Overnight Delivery! The Vitamix A2300 Ascent Series Blender features Variable Speed Control and Pulse, the A2300 lets you easily adjust the texture of every dish. A Low-Profile 64-Ounce Container lets you store the Vitamix A2300 in any conventional kitchen cabinet without sacrificing container volume. The Commercial-Grade 2.2-Peak horsepower motor helps drive the Stainless Steel Blade through the toughest ingredients while still being quieter than previous Vitamix blenders! Free Overnight Delivery! 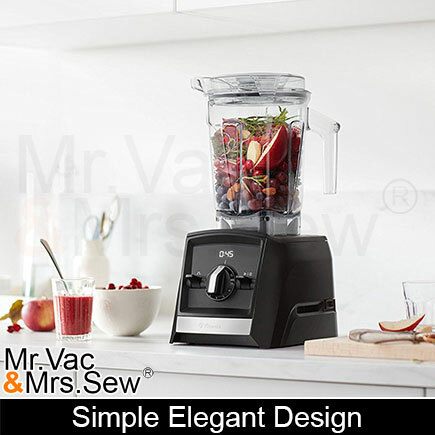 When you purchase the Vitamix A2300 Ascent Series from Mr. Vac and Mrs. Sew, you will receive Free Overnight Delivery with your purchase. A Large Low-Profile Self-Detect 64-Ounce rated capacity container with a comfortable, ergonomically designed handle holds it all from fruits to soups and ice. With the Container on the base of the unit, the Vitamix A2300 is only 17 inches tall, Perfect for storage or low clearance counter tops. 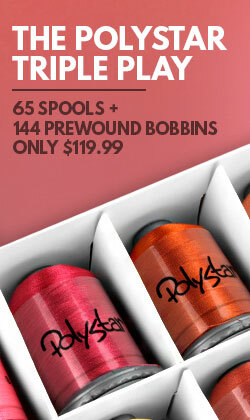 The container features a spill proof, vented lid with plug for safely adding ingredients while the machine is running. New to the Ascent Series, Built-in wireless connectivity will allow Ascent Series blenders to evolve with the latest innovations for years to come. The motor base is able to recognize the container size you’ve chosen and automatically adjust program settings and maximum blending times accordingly. 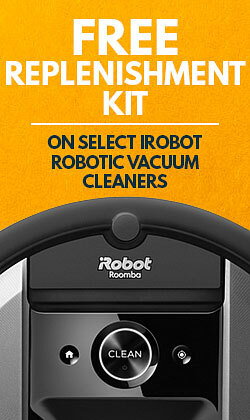 All containers designed for the Ascent Series are both self-cleaning and dishwasher-safe. 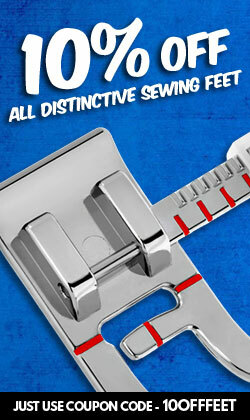 The blades are laser-cut, stainless-steel hammermill tough industrial quality, used by even top professionals. Make steaming-hot soup without a stove in under 10 minutes. The friction from our blades lets you bring soup to serving temperature, right in the container. Creating chilled desserts is also easy, just add frozen ingredients to your machine and you’ll be enjoying ice cream, fruit sorbet, and more in seconds! Homemade nut butter has never been easier or more delicious, Vitamix machines have the power to grind your favorite nuts into delicious nut butter, turn coffee beans into ground coffee, and more! 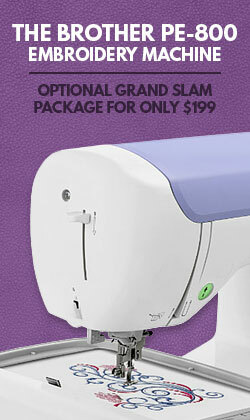 Quickly and easily mix batters for pancakes, waffles, cookies, muffins, crêpes, and cakes. Vitamix machines can also knead thick bread and pizza dough. With a large cutting diameter of 4 inches driven by a powerful 2.2-HP peak variable speed motor ensures an even consistent blend every time for any blending need! The variable speed operation offers exceptional control giving you the best results and complete oversight on your cooking projects. The Vitamix A2300 also features the pulse feature which refines every texture with culinary precision, allowing more controlled dicing. A built-in digital timer removes the guesswork with recipes you process manually, helping you achieve the perfect texture every time. The metal-to-metal connection between the container and base prevents stripping or wear and ensures reliability. The Vitamix A2300 Ascent Series Blender is Proudly Made in the USA. With its elegant yet simple design, the blender offers all of the versatility to make soup, ice cream, frozen drinks, and more! 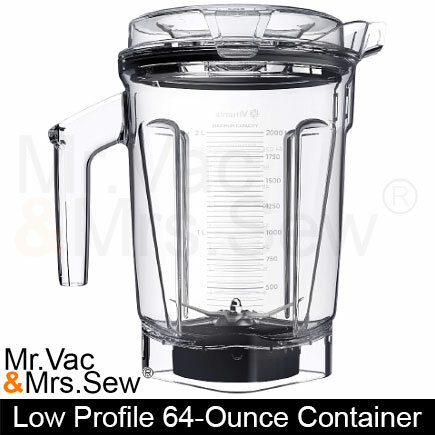 The Vitamix A2300 Ascent Series Blender's large 64-Ounce Container is made BPA free and shatter proof. 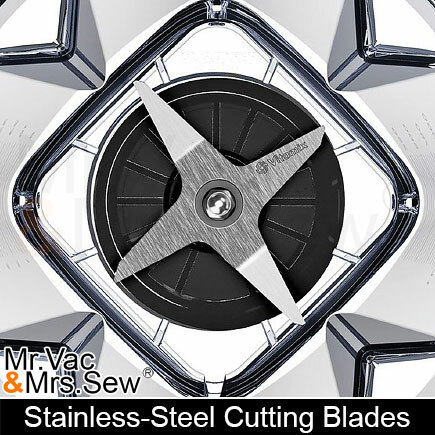 The cutting blade is crafted with care from one solid piece of stainless-steel ensuring the blade stays sharp even after rugged daily use. 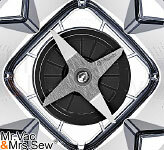 The blender has an internal radial cooling fan and thermal protection system which prevents the motor from burning out. 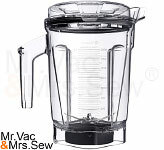 The warranty of the Vitamix A2300 Ascent Series Blender is 10 Years Manufacturer's Full Warranty. 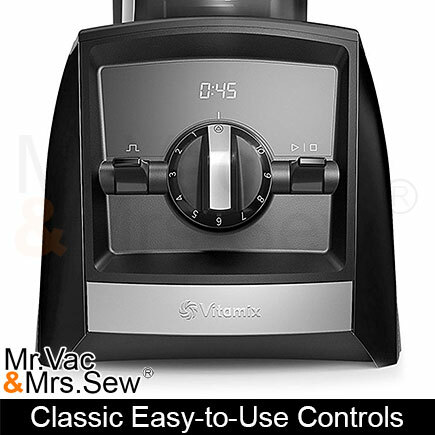 Mr Vac & Mrs Sew is an authorized Vitamix dealer. 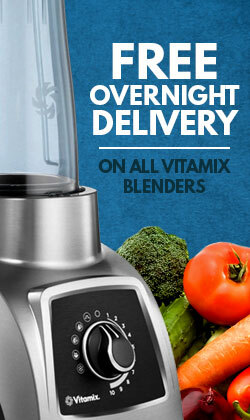 Vitamix Series 750 Professional Blender w/ FREE Overnight Delivery! 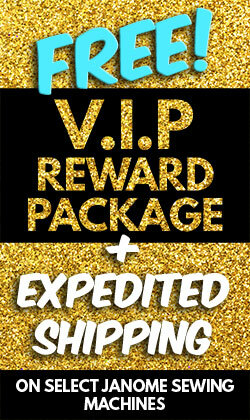 Vitamix Series 750 Copper Professional Blender w/ FREE Overnight Delivery! 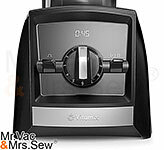 Vitamix A2500 Black Ascent Series Blender w/ FREE Overnight Delivery! 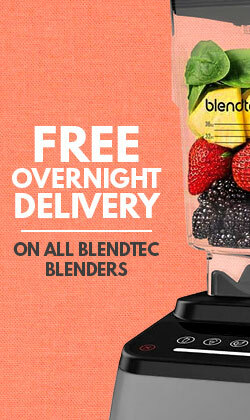 Vitamix A2500 Slate Ascent Series Blender w/ FREE Overnight Delivery! 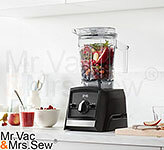 Vitamix A2300 Slate Ascent Series Blender w/ FREE Overnight Delivery!